Celebrated with much pomp and pageantry, the Chinese New Year is an important cultural event that takes place not just in China, but in cities around the world which are home to a Chinese community such as Bangkok. 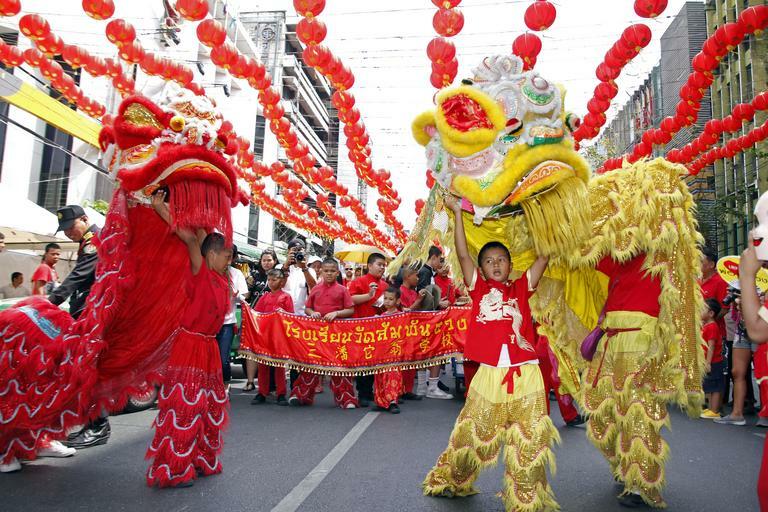 The Chinese New Year is celebrated by various communities in Bangkok and most of these celebrations take place in and around Chinatown. The festivities truly commence with Dragon Parades which are significantly longer than what most have seen before. Bangkok’s Chinatown, the enclave of people from China in Bangkok, is a major tourist attraction in this city for it is known to be one of the oldest areas. As a result of its history, prices of land in the area are considered to be some of the highest in Bangkok. Chinatown is a riot of colours, scents and sights with a myriad of street-side stalls, restaurants and shops selling an array of items ranging from food to gold. If you are visiting Bangkok during the Chinese New Year these celebrations should not be missed.Visitors can look forward to seeing during this time include dragon dancers, lavish banquets, parades, acrobatics, the lighting of firecrackers & fireworks and the decorating of streets and shops. If you are looking for a Siam hotel in Bangkok which offers easy access to Bangkok’s Chinatown, consider staying at Anantara Siam Bangkok Hotel. Out of the many festivals and celebrations celebrated throughout the world, Loy Krathong is among the most colourful, and anyone would be dazzled by the cultural celebrations associated with it. The name of this festival translates as ‘to float a basket’, and is celebrated in Thailand as well as other nations with significant southwestern Tai cultures. This celebration actually takes place under many different names as well, such as Full-Moon Poya in Sri Lanka, and Bon Om Touk in Cambodia. What Happens During Loy Krathong? 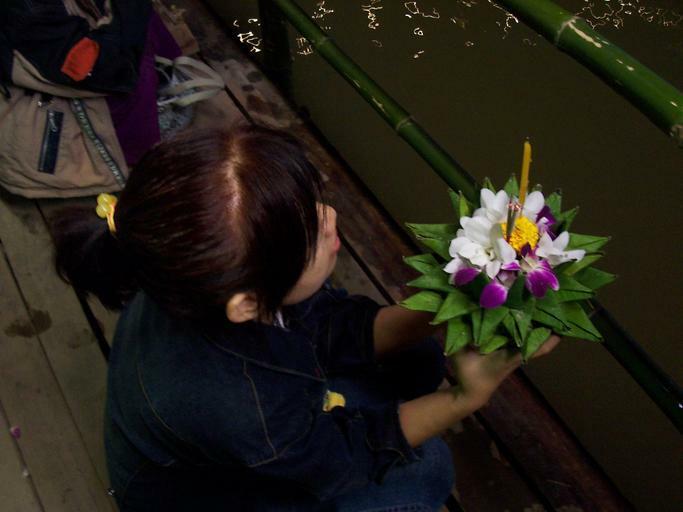 The iconic concept involves krathongs, which are small boats which are crafted out a variety of materials, usually natural, and then released into the river. If you happen to be in Bangkok, one of the best places to experience Loy Kratong Festival would be along Asiatique, the famous riverfront night-market. It is a very central location, close to many hotels, resorts and serviced suites in Bangkok along the likes of Anantara Baan Rajprasong Bangkok. 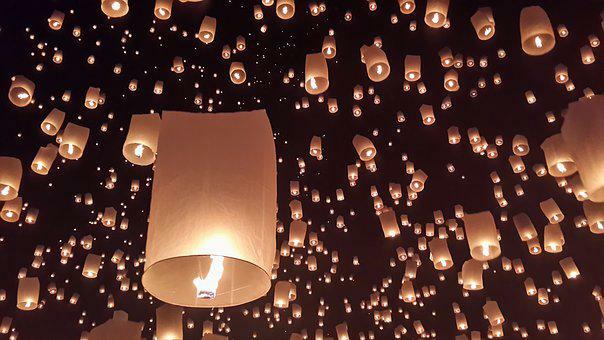 Interestingly, this coincides with another festival that takes place predominantly in Northern Thailand called Yi Peng where sky lanterns are launched into the air. These lanterns are made from very thin materials such as rice paper. Thailand is a nation that is full of all kinds of colourful festivities and celebrations. One particular occurrence that will definitely take your breath away is the Royal Barge Procession. It is not entirely clear when the first royal barge procession took place, but it is widely believed to have been sometime in the 14th century during the Ayutthaya Period. There are many accounts from foreign visitors during this time of grand processions featuring ‘200 boats’. There is no concrete date when these processions take place, but are instead used to mark special ceremonies and occurrences. During the reign of the late King Rama IX, a total of 16 royal barge processions were conducted. Depending on the occasion, the scale of the procession would change. Major processions are arranged into five rows while minor processions are much smaller in scale and feature less variety where barges are concerned as well. The procession goes along the Chao Phraya River, commencing from the Wasukri Royal Landing Place and concluding at Wat Arun. This route is quite popular with Bangkok cruises and if you arrange one from an entity such as Anantara Cruises during the time of the procession, it’ll be an experience you won’t forget. 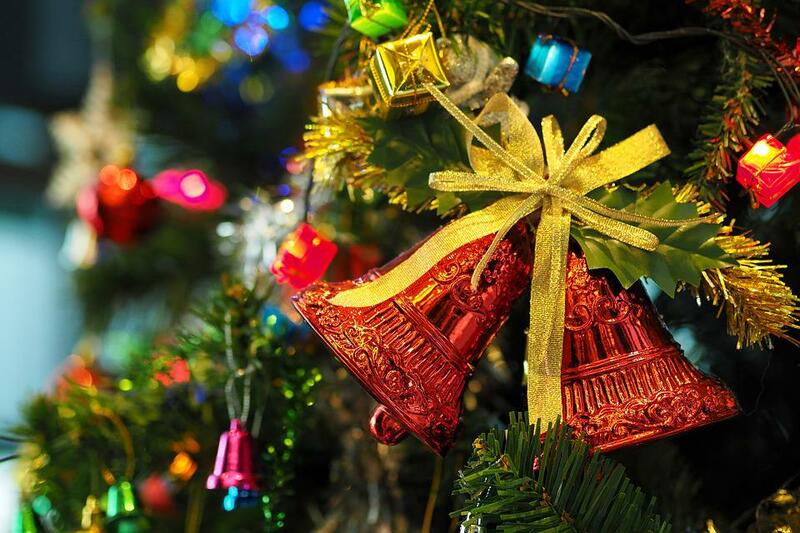 This joyously celebrated festival is particularly important to residents of Chinese descent. Bangkok’s Chinatown, the locality of Yaowaraj comes vibrantly alive with dragon dances, innumerable firecrackers and a joyous festive ambience. This unique and distinctive festival is an occasion that is important to Thais. This significant event usually falls in November on a full moon night, when innumerable Thais make their way to rivers, canals and lakes in order to release pretty little rafts created in the shape of a lotus flower. Visitors can stay in Bangkok luxury hotels the likes of Anantara Siam Bangkok Hotel to get the best out of their vacation. Celebrated from the 13th to the 15th of April each year, this vibrant festival is an occasion for young Thais to engage in good-natured water fights and street revelries. Many Bangkok residents return to their hometowns at this time of the year. The well-known Vegetarian Festival is a popular event that is much anticipated by many Thais. This festival is of Chinese origin and therefore Chinatown is the focus of the festivities. At this time you will find a host of makeshift stalls selling strictly vegan meals, whilst many regular restaurants also take the opportunity to participate in this event. An event of profound religious and spiritual significance, the Wai Kru Festival or the Sak Yant Festival claims to bring physical and spiritual protection by way of the many exotic Sak Yant tattoos. What is the Wai Kru Festival? An intense experience and one of the famous festivals in Bangkok, the Wai Kru Festival is also known as the Sak Yant Festival. The Wai Kru Festival is not to be confused with the traditional phrase “Wai Kru” that is part of a ritual where students pay gratitude to their teachers. Over 10,000 Buddhist devotees gather at the Wat Bang Phra (temple) in Thailand for the Wai Kru Festival. The tattooists or the monks at the temple draw protective tattoos on the devotees with a single long needle about 18 inches long and 4 millimetres in width. Popular designs include tigers, monkeys and ancient Cambodian script. Some devotees with protective tattoos are said to enter trances or become possessed by the spirits. The sight of the tattooed devotees acting out the traits of the animals inked on to their bodies is a fascinating experience for visitors. Those on the lookout for such intriguing experiences on their vacation can consider an online Bangkok travel guide or blogs with information on such events such as Travel Bangkok Now. The common belief states that the Sak Yant tattoos are powerful and protect those who wear them from illness and death. 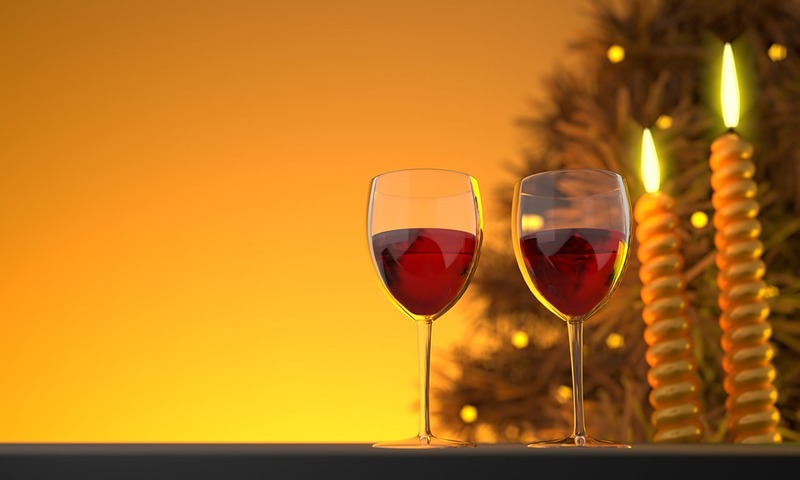 The devotees are advised not to consume alcohol if they wish the powers to be effective. Known as the city of Angels, Bangkok, the capital of the beautiful country Thailand has attained many great heights in the global culinary stage this year. To add to this, the city will be hosting the 18th World Gourmet Festival this year as well. This event gathers high-end chefs in the world that belong to different countries such as Australia to Portugal to Japan and much more. From the first time the festival started until today, this has become one of the most extravagant gastronomic events that take places in the world. Michelin star chefs and other experts in food and wine makers get together during this eventful time and prepare mouth-watering cuisine where you could experience a flavour explosion in everything you taste. Anantara Siam Bangkok Hotel that is one of the Sukhumvit Hotels in Bangkok will be hosting the event this year. If you are planning to visit Bangkok, the best time would be early September, because the 18th World Gourmet Festival will also be taking place during this time. Exactly between the 4th to the 10th of September. Before attending the festival, reservations should be done online. All details of when each and every chef that will be cooking and the times can be checked from the official World Gourmet Festival website. Bangkok city, famous for being most alive at the night time attracts many tourists from all over the world. During the festival season, Thai hotels get quite busy, so it is better to secure your booking as early as possible. If you would rather stay at a service apartment in Bangkok, there are plenty of popular options like Anantara Baan Rajprasong. Coming up is the most awaited festival of all seasons, the Moon Festival, so this is a very good time to plan your visit to Bangkok. Even though this festival has originated in China, it has moved to a different phase in Bangkok. Story goes that in 1985 a small group of travellers who were inspired by the beauty of the moon in Koh Phangan had arranged an all night long beach party which later developed to the major bash known as the ‘Full Moon Party’. Every month a crowd of about 10,000 – 30,000 comes to enjoy the most happening beach festival with dance, music, food, and drinks. The glamorous fireworks make most of the party atmosphere, while the fire eaters thrill the crowd with their skillful performances. This has gained so much fame among tourists that even variants like ‘Half Moon’ and ‘Quarter Moon’ parties were on the rise during the early days. But the government had banned all celebrations apart from the Full Moon Festival considering the noise pollution and severe damage it caused to the routine lives of Islanders. If you have heard of Thailand you will be aware that this nation has some of the most unique and astonishing festivals in the world, such as the city-wide water-fight that is referred to as the Songkran festival. The Chumphon Marine festival is an equally incredible concept and is definitely something that should not be missed if you happen to be here during the season. There’s many a Sathorn Bangkok hotel to choose from in the nearby area such as the Anantara Sathorn Bangkok Hotel. The goal of the festival is to promote marine tourism while also carrying out some seriously eco-friendly activities in the process. One of the most incredible highlights of the 2016 festival were the sand-related art that was featuring ranging from incredibly breathtaking drawings to sand sculptures of various icons that are relevant to the ten ASEAN countries as well as the Chumphon province itself. There are many mini-festivals that take place during the course of this larger parent festival. If you enjoy seafood, there’s a massive seafood festival that takes place as part of the Chumpon Marine Festival where you can feast on a variety of seafood dishes prepared according to a range of styles. There’s even a kite-festival that happens which is sure to be a sight to behold. The most remarkable activities are the ones that positively impact the marine environment. Not only does the festival result in large-scale beach clean-ups, but it organises operations involving divers who rid the ocean depths of garbage, since Chumphon is considered one of the best diving spots in Thailand. During the festival, rare and endangered marine creatures are also released back into the ocean in order to boost their numbers. These usually mark the end of conservation projects to breed certain species. So if you’re in Thailand during this time, be sure to experience the astonishingly positive Chumphon Marine Festival. Thailand blends ancient with modern and tradition with innovation, strikes the perfect balance. From dazzling destinations, to world-class venues, to accessibility and hospitality that are second to none, it’s no wonder more organizations than ever are holding many business events in Thailand, where doing business is a pleasure. Thailand’s location in the heart of Asia, with hundreds of flights per day from all corners of the globe, makes it as simple as getting on a plane. Thailand’s not just the geographical center of Asia, it’s quickly evolving into Asia’s premier business hub. From the way they lead dozens of global industries, to their quickly developing markets, to their commitment to world-class MICE events. There are many luxury hotels and resorts that are perfect for business travelers, however Anantara Hotels, Resorts and Spas is one of the best hotels in Thailand, that is ideal for both leisure and business travelers. Anantra Hotels and Resorts offer world class services and is an icon for impeccable hospitality. They also offer elegant and spacious accommodation, which offer beautiful, scenic views for the guests. The cuisine offered at the hotel is simply divine, and there is a wide variety of delectable food prepared by world class chefs. Bangkok International Trade and Exhibition Centre (BITEC) is one of Thailand’s leading exhibition and convention venues. The center offers a range of technologically advanced facilities to accommodate exhibitions, conventions, conferences, special events, and seminars. The center can cater for as few as 30 people or as many as 100,000 visitors a day. Named after the current queen of Thailand, the Queen Sirikit National Convention Center is Thailand’s premier exhibition and conference center. The center has been built with a view to catering for national and international events and has played host to some of the biggest events ever to take place in Thailand.